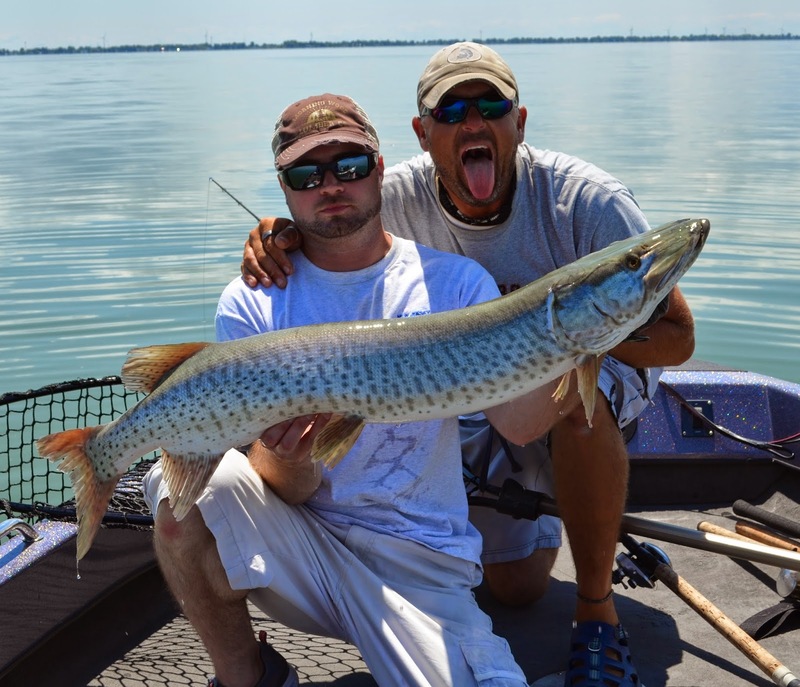 Joe and I spent 4 days fishing on the hallowed musky grounds of Lake St. Clair with guide Mike Hulbert. 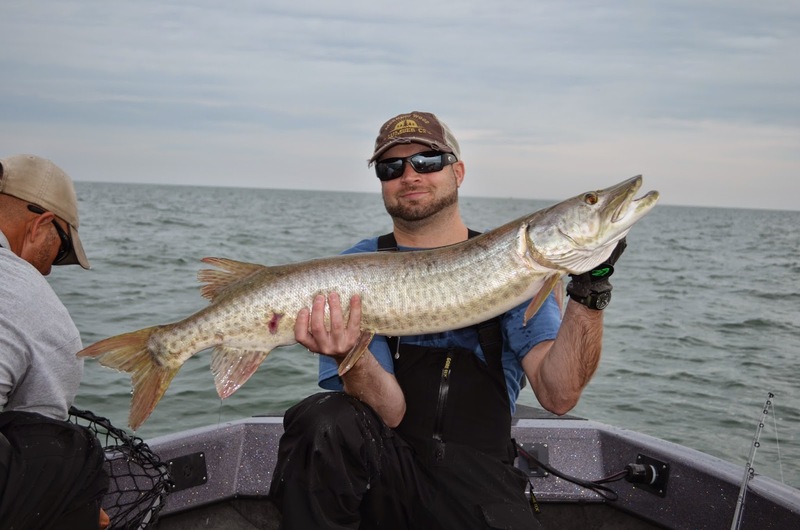 There's way too much to tell about the interesting geography of this lake, the incredible fish populations and everything that goes down in 4 days of musky fishing, so instead I'll keep this short and put up some pics. 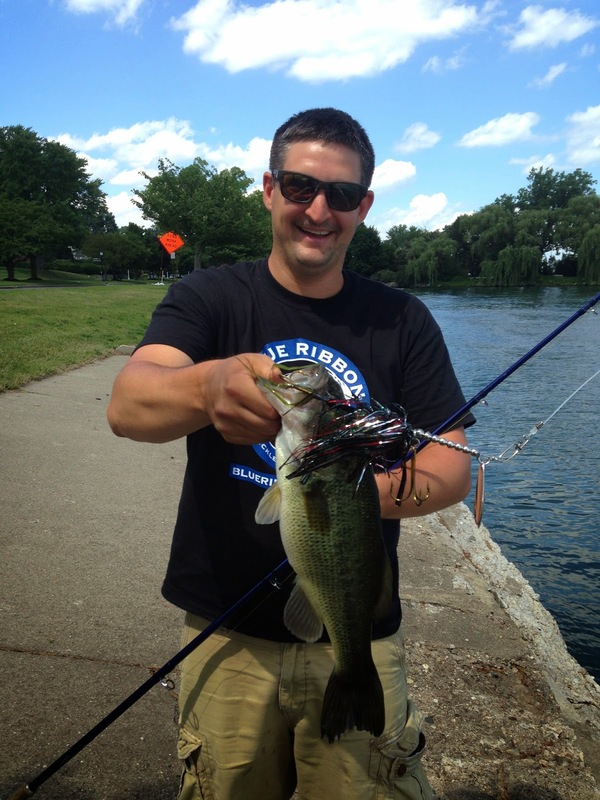 We had a massive cold front come through, but on a lake like St. Clair and fishing with a guy like Mike, you're still going to catch fish. 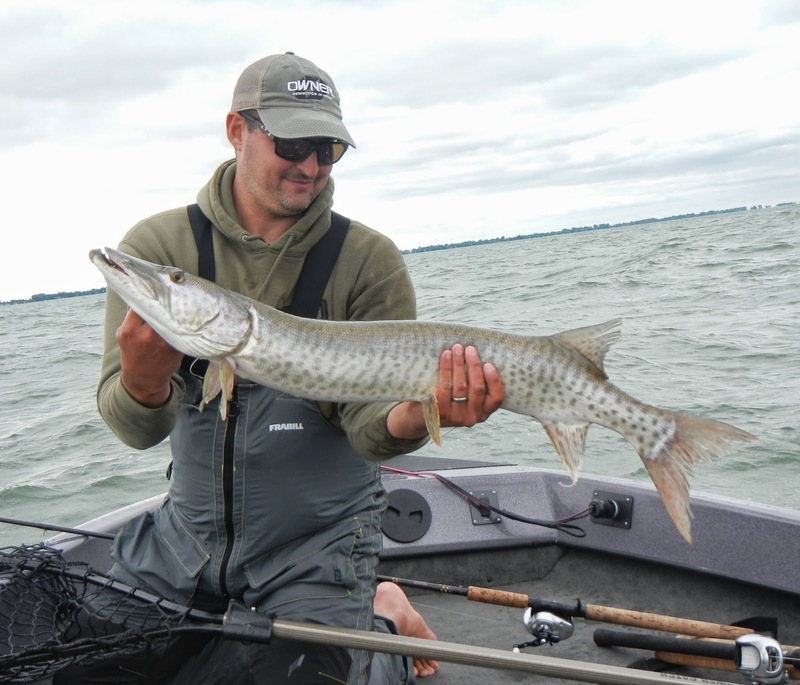 We boated 17 muskies to 48.5 inches over 4 days, had a few come unglued, a few more missed opportunities and lots of lookers. 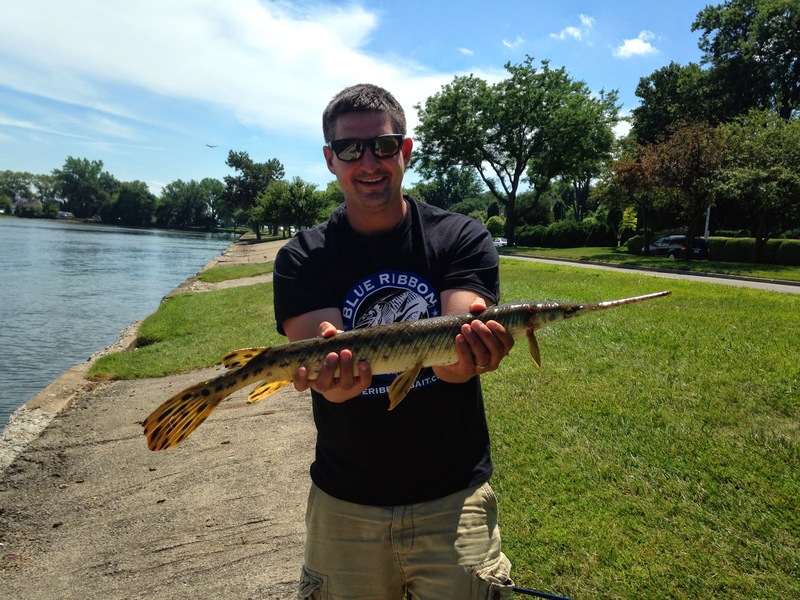 One thing I will say is that I could not have had a better time fishing with Joe and Mike. 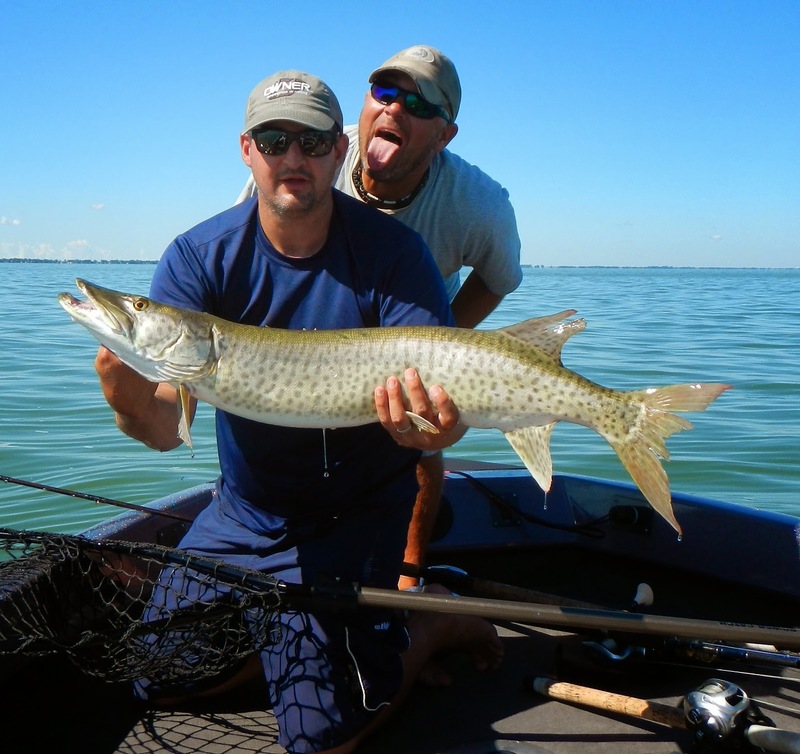 We knew Mike was the best musky fisherman on St. Clair, but we had no idea we'd spend half the trip belly laughing and having such a good time. 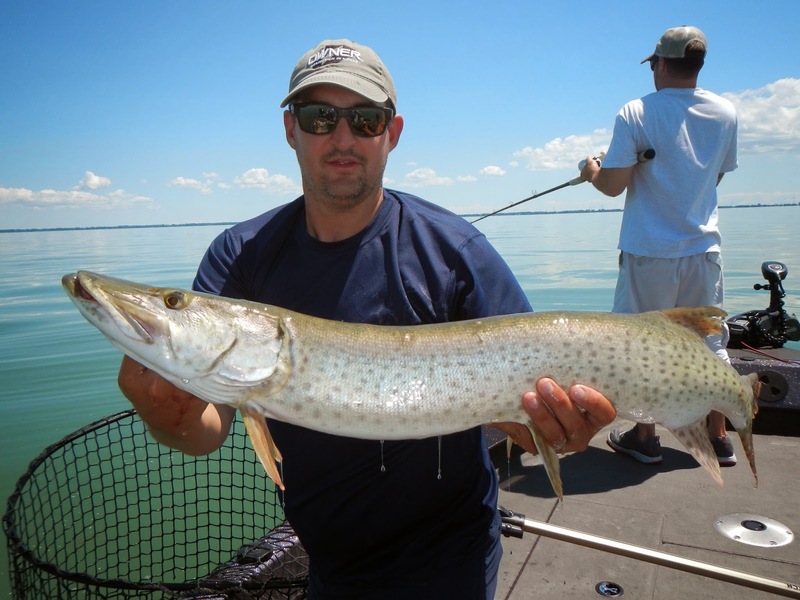 Mike put a ton of effort into making sure we caught as many fish as possible, keeping us out for up to 13 or 14 hours a day. 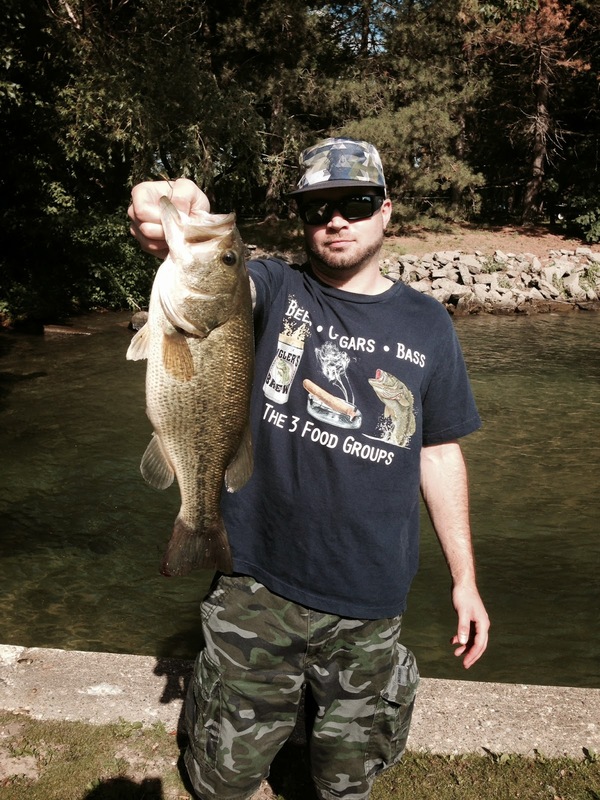 The conditions didn't permit the double-digit days he'd been having of late, but we were happy. 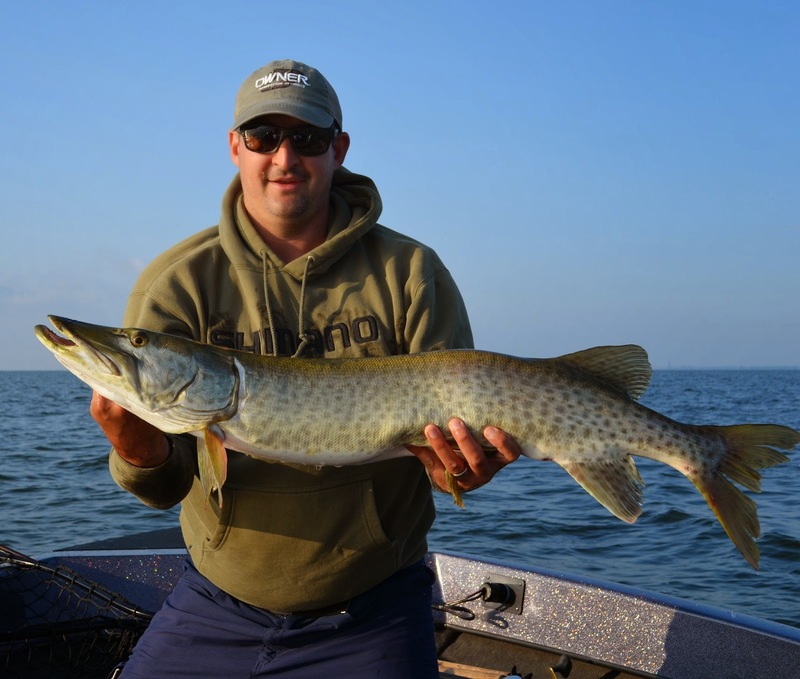 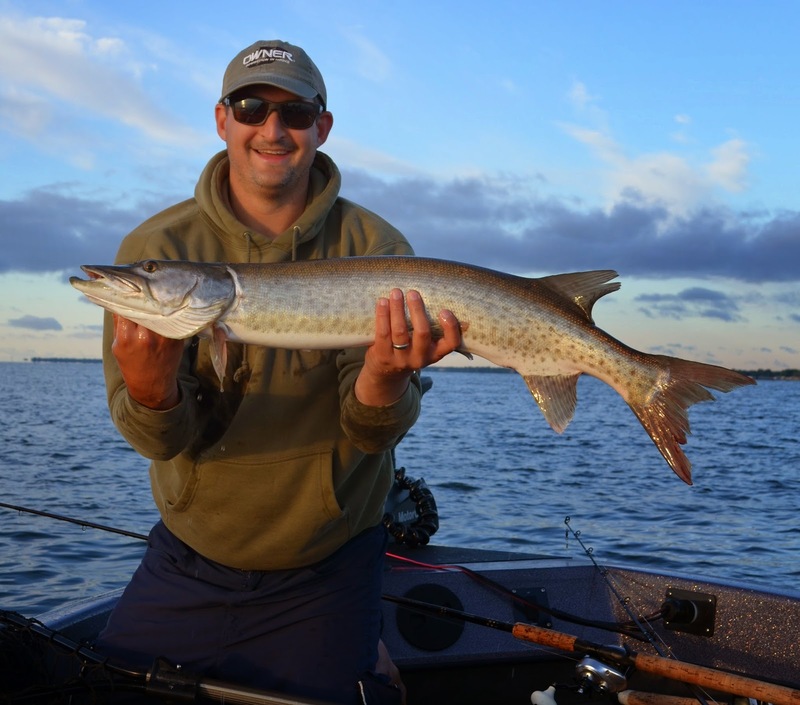 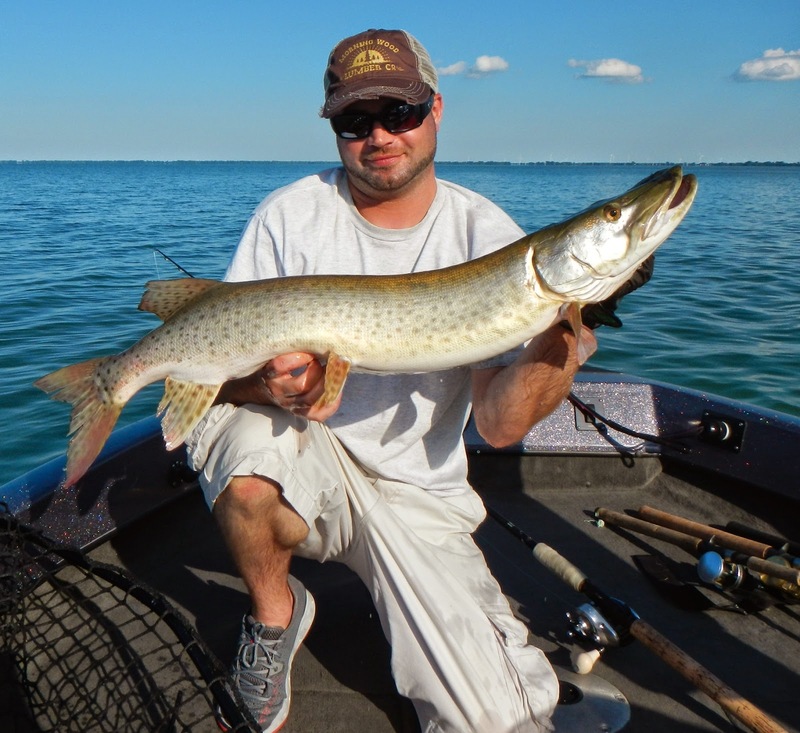 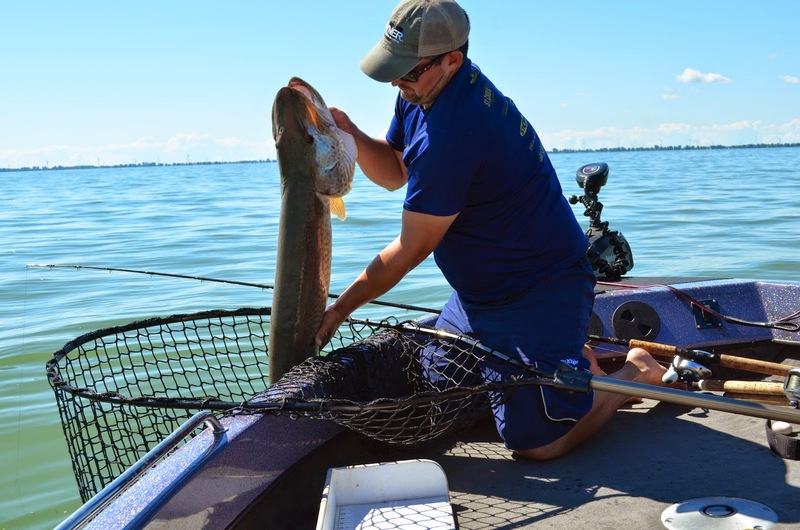 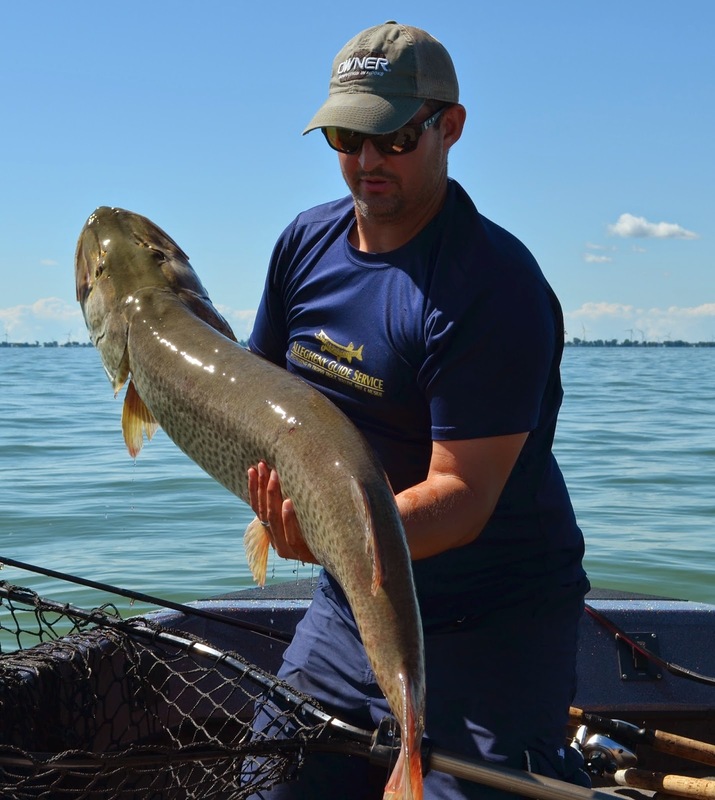 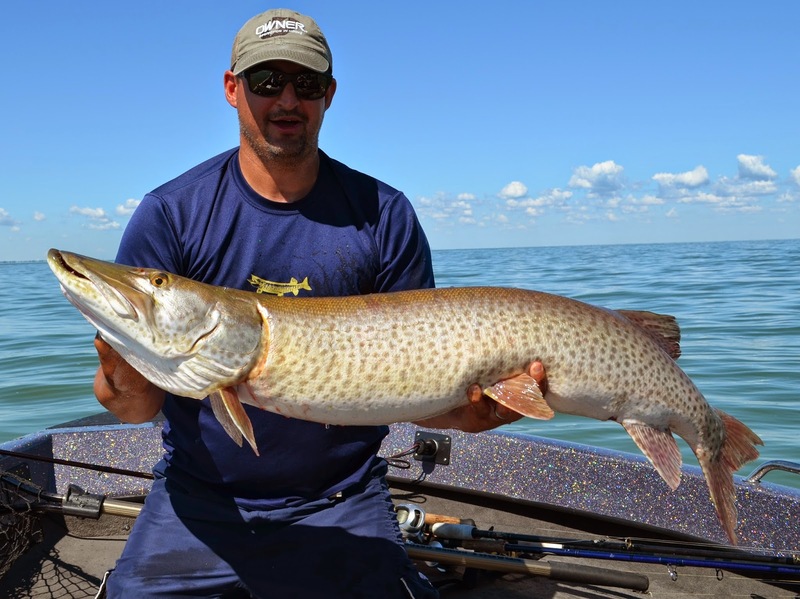 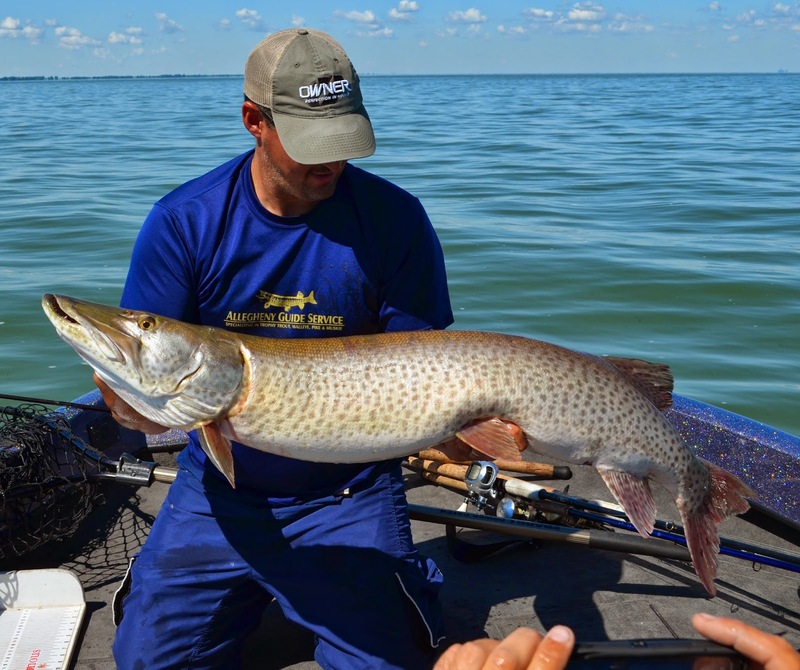 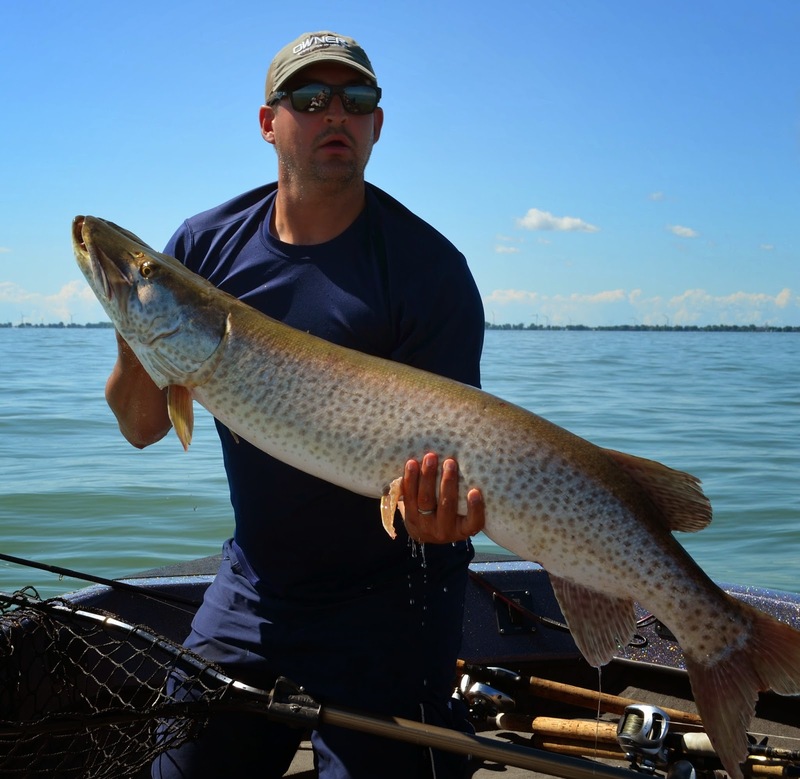 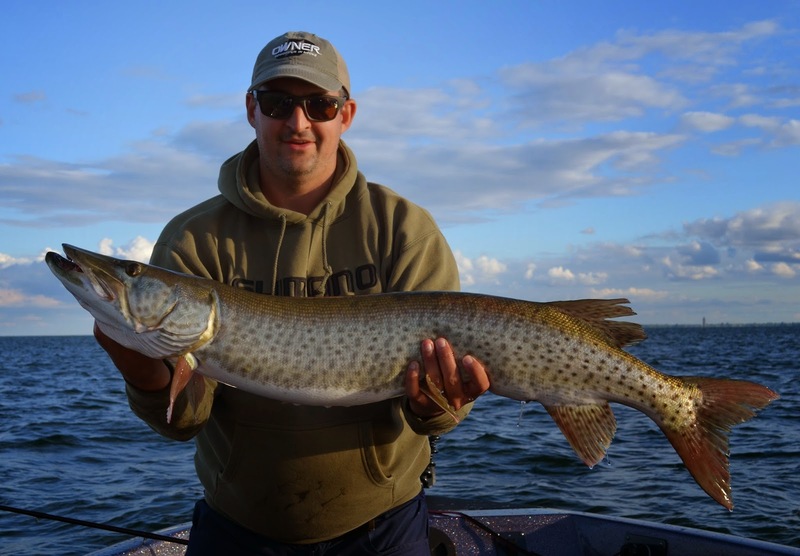 Mike has a pretty full schedule, but if you're looking to cast for muskies on this phenomenal fishery, I'd sincerely consider giving him a call before trying anyone else. 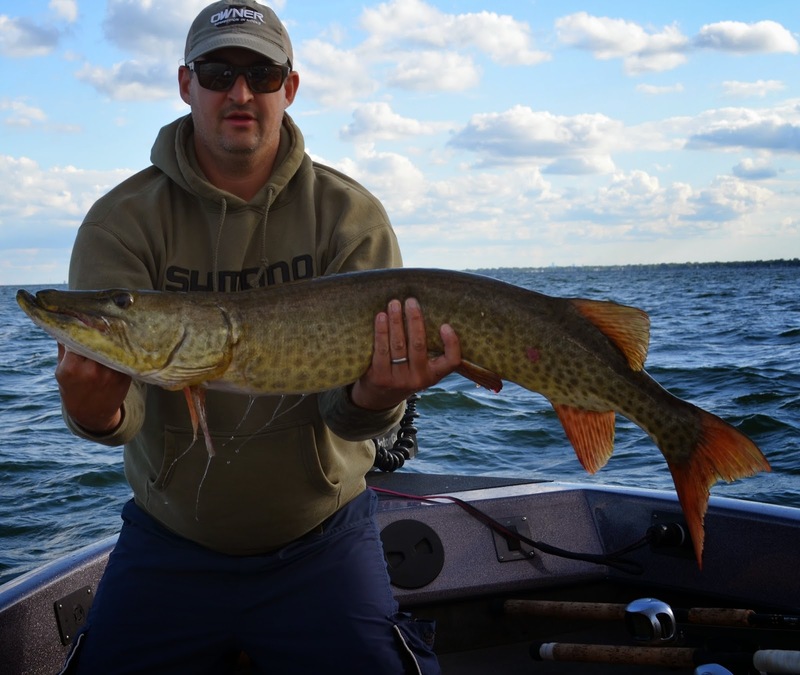 Thanks Joe and thanks again to Mike for an amazing trip. 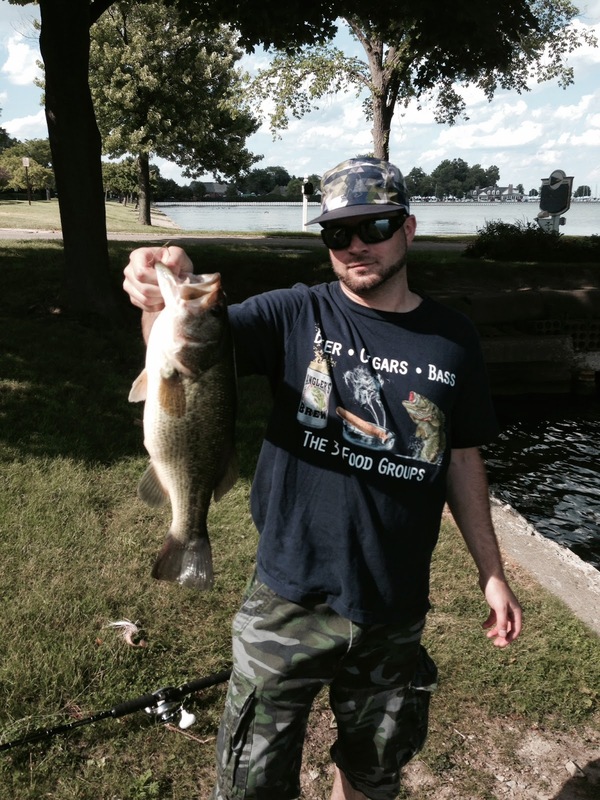 A few pics for Day 1 shore fishing.